This recent article in Realtormag offers some valuable tips for real estate agents and home-buyers on home inspections and the importance of choosing the right inspector. In the typical home purchase, the buyer receives only one expert review of the residence prior to purchase — the home inspector report. While economical and useful, these reports have limits that must be acknowledged. Too often, the significance of this report is overstated, leaving the buyer and seller exposed to unreasonable expectations, which can lead to unhappy clients, disagreements, and even lawsuits. There are several important considerations that you can help your clients understand about their home inspector. Some states, such as California, have no licensing or state certification for home inspectors. Others, such as Arizona, certify but do not license home inspectors. Many states, including New York, New Jersey, Mississippi, Washington, and others, require home inspectors to be licensed. A license or credential is not a guarantee of competence, but an indication the inspector has completed a minimum level of education. There are a number of credentialing organizations, including California Real Estate Inspection Association, American Society of Home Inspectors, and the National Association of Home Inspectors. These organizations each have their own qualifications, exams, and code of ethics. Your client should look for an inspector certification by one of these major organizations. Do not accept so-called “company certifications,” which are simply in-house programs and not subject to any industry oversight. Unfortunately, an inspector can occasionally miss important items that could point toward a significant repair issue. In the event this occurs, your client will be disappointed if the inspector is unable to pay for the repair of the neglected item. 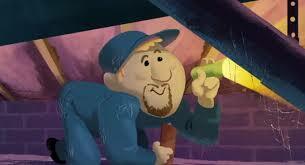 Your client should hire an inspector with current liability insurance. An inspector will sometimes report on a significant item that requires particular expertise. For example, if a question is raised regarding soil stability, your client may need advice from a soil engineer. If a floor seems too bouncy or there are cracks in walls, a structural engineer may be needed. An architect or general contractor might be needed to determine how an unpermitted addition might be legitimized with the building department. The home inspector is the first but not necessarily the last word on things. Recommend your client bring in further expertise if the report indicates a problem. The home inspection is only visual. The inspector cannot see inside walls to confirm that the framing is solid or that the plumbing or wiring was properly installed. Exterior finishes typically cover a home’s most important elements, so inspectors look for clues. However, the absence of cracks does not mean a wall is strong, and the absence of stains on the ceiling does not guarantee the roof is watertight. The typical home inspection contract alerts your client to these limitations. Be sure your client reads and understands this. This is critical to help remind them that the inspector will not tear open walls, expose the waterproofing of windows, or remove any part of the home. The risk of potential hidden problems remains, even after the best visual assessment of the property. Your clients believe that your visual inspection (“AVID”) and the home inspection protects them from any problems with the home — but it does not. Help them understand, so their expectations are reasonable. Your client is hiring expertise and presumably wants the best. Home inspection prices vary and it can be tempting to hire the cheapest. There may be a reason a company’s price is low. Are they new? Do they take far less time on the inspection? Do they have a poor reputation and need a catchy low price to get business? Home inspections are a minuscule cost relative to the total price of a home. Encourage your client to not worry about the price and hire the best available. Real estate agents are not construction experts. Your expertise is in finding properties for buyers and finding buyers for sellers. You may want to consider offering an opinion or suggestion about the content of an inspection report. That advice should come from a construction expert. Your client should talk to a contractor or other expert about the report if there are questions. Home inspections are a valuable tool for the home buyer and should be a routine part of the homebuying process. Manage your client’s expectations to enhance a successful relationship. The risk in buying something built by someone else can be reduced, but not completely eliminated. With a qualified and competent home inspector, your client is doing what can reasonably be done.